Decca Classics brings you a Limited Edition, numbered LP Set featuring original LP front and back covers. The box set is wrapped in Luxury gold-wrap lift-off and features a full-colour booklet in English (English, German and Japanese) including full recording information, articles by Silvia Kargl of the Wiener Philharmoniker Historisches Archiv and by long-term Decca producers Christopher Raeburn, Erik Smith and John Culshaw. 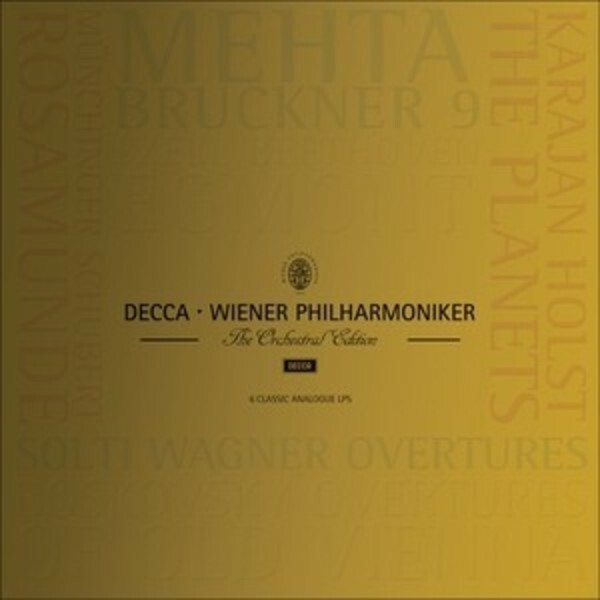 Contains forewords from Paul Moseley, Managing Director of Decca and Clemens Hellsberg, Vorstand Wiener Philharmoniker. The pressings from Record Industries are on 180gsm vinyl stock and the lacquers are cut by Sean Magee at Abbey Road Studios.